The new season is about to start and I intend to review the pilot episodes of those shows that - at least on paper - appeal to me. Certainly not all of these shows are going to make it onto my regular watching schedule (Looking at you, MacGyver!) and most certainly not all of them are going to make it past the first season (Still looking at you, MacGyver!). With so much good TV currently available and so much old stuff still unwatched (currently I'm trying to catch up on The West Wing [must get through the series-low season 5 to get to the Alan Alda seasons] and Prison Break) the bar has been set so much higher for any show to get a slot on my programming schedule. A drug dealer, a hacker and a banker walk into a bar. Well, they don't actually walk into a bar. But they do meet. This show came only accidentally across my radar so my knowledge of what it's actually going to be about is a bit sketchy. I can only tell you what happened in the pilot episode and then infer what's going to happen next. The banker played by The O.C. 's Adam Brody doesn't seem too happy in his job. But he is even less happy when his father walks back into his life and asks him to launder some money for him. The dad (who has disappeared by the end of the pilot so I don't know his actual role in the things to come) is a player in the drug trade and was tracked down by a federal agent played by Martin Freeman (Sherlock, The Hobbit). Phil Rask (Freeman) tried to extort the dad which is why he went to his son in the first place. The money Nick Talman (Brody) is expected to launder belongs to a Haitian drug lord who appears to live by at least some kind of honour and now finds his money gone and is understandably pissed. The final player is a young woman and hacker (in the classical sense of the word), played by Otmara Marrero. She has developed a new digital currency, far better than Bitcoin per her own words. She's trying to market it to the bank Talman is working at but they decline the offer. Talman on the other hand is suddenly very interested to invest. The pilot starts the story rather slowly but since we're living in the post Breaking Bad age one should not dismiss this as a bad thing. It gives you the idea where the story is heading (drug money transferred around the globe with this new currency system) and you have to decide if the story and the acting is for you. I for one will at least watch a few more episodes to make up my mind. Maybe the most interesting question this show could ask (don't know if it will do that though) is how our understanding of and relationship to money has changed. Money almost always had only a symbolic value. Sure, back in the days you had gold coins and silver dollars but your trust in the currency always dependent on the fact that there only was so much of it there and that defined its value as a trading object. The minute the money owner (e.g. the state) started to print it by the bucket, the value was gone, see this 200 billion Mark note from 1923 which probably only bought you a loaf of bread. At some point in the 1900s most currencies left the gold standard and barely anyone batted an eye. For almost a decade now many western central banks are pumping zero interest money into the markets. There are probably very few people on this planet who still know how much money is currently in circulation. But the prices are reasonably stable. Heck, in many regards we've even abandoned the concept of money as a physical object altogether. I know the U.S. is at least still using "pay checks" but on the other hand even the Starbucks coffee gets paid via credit card. Here in Germany we get our salary transferred into our debit account after which our landlord deducts the rent and the insurance, power and phone companies also automatically collect their bills electronically. You buy something for more than 10 euros, you probably pay with your debit card. 100 euros in cash will keep me afloat for a good two weeks at least. In Sweden they're debating the abandonment of cash money. But all of this only works because we've developed a trust in the system. But how long is this trust going to hold? And are there better systems? Maybe this show will ask these questions. Or maybe not. Maybe it's just a variant of Breaking Bad's car wash money laundering system. But I will find out. Unfortunately it does not turn out as planned. His teenage daughter (Taylor Spreitler, Melissa & Joey) announces to be engaged and wants to drop out of college to support her computer programmer nerd fiancé Chale (Ryan Cartwright, Bones' Vincent Nigel-Murray). You can tell her parents are not pleased. To subsidize his retirement Keven had planned to rent out the garage apartment but that plan falls flat when he offers his daughter the place instead. And his buddies also have obstacles that wholly destroy his PowerPoint retirement plan. I loved Kevin James in The King of Queens. And sometimes TV series need to find their footing a few episodes in. But this pilot episode just felt plain. Mediocre. Mundane. Chale was a heap of clichés of a nerd and not very entertaining. Kevin was the nice loveable guy he usually plays but without a foil like Arthur Spooner he had no one to play off of. And the laugh track was once again trying to tell me something was hilarious even when it was only slightly amusing - if even that. So far this show doesn't work for me and with so much stuff to watch, it'll have to do A LOT better in the next few weeks to be still on my calendar by Halloween. Eleanor Shellstrop (Kristen Bell, Veronica Mars) just died. And now she is in a multiplayer role-playing game on one of the infinite game servers that somewhat resembles the idea of the good version of the afterlife, like the Greek Elysian Fields or the Christian Heaven. There's only one catch: They are extremely (and I mean: extremely) picky on who gets in there. Everyone else from Joe(sephine) Average to Adolf Hitler gets send to the "bad place". And Eleanor does not belong in the "good place". She's just there by accident. Like it or not: The bureaucracy in the afterlife apparently has the accuracy of the U.S. Transportation Security Administration. Eleanor is only in the good place because she shares her name with a really good person. She's the glitch in the matrix. The fly in the ointment. The butterfly that causes the storm. Shortly after her arrival, the perfect balance of the good place is shattered and weird things start to happen. And the only way to stop it is for Eleanor to actually become a good person. I had really high hopes for this show. While I was never a regular viewer of Ted Danson's Cheers, I did enjoy the episodes of that show. And Kristen WAS Veronica Mars. And since I'm neither Christian nor of any faith I also have no problems with making fun of any aspect of any religion. But this was just bland. Even the basic premise was self-contradictory. One the one hand every tiny, minute action or inaction you do in your life is counted in your favour or against you. But then you can just get mixed up with someone else? And while I do understand the idea that not everyone can get into "heaven", it's rather ridiculous that not even Florence Nightingale had made the cut and is basically lumped in together with Genghis Khan and Pol Pot. I agree with Eleanor in this regard. 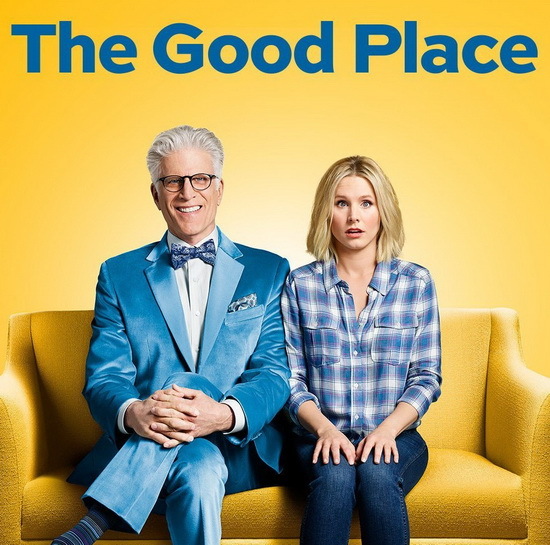 There should be an "ordinary" afterlife for ordinary people if there's such a high standard for the good place. There were other problems with this idea as well. I don't know if it's going to be explored in future episodes but let me explain it here: According to Whatshisname (Danson) there are 322 people on this instance of the (in lack of better terms) "game server". 322 people perfectly selected for this group with everyone having a soulmate for eternity. But what if there's a family of do-gooders? Do they land in the same instance? Can I visit other instances? Is each instance designed for people who died in a certain era, i.e. will people from the middle ages also have a big view screen and a holo helping program? But the main problem was that it was bland. What are the episodes going to be like? Eleanor screws up differently in each episode due to her narcissism and then tries to fix it by the end of the episode and has learned some Aesop lesson? Unfortunately, it just wasn't all that funny and interesting to watch. Also, the woman with the English accent was just annoying. What has she done to deserve to be there and grate on the nerves of her Buddhist "soul mate"? Nah, I'm good. I prefer to decompose in peace and get blasted across the universe when our sun goes supernova in five billion years. Former U.S. President Richard Graves is the last great republican. His presidency has now been over for 25 years and he does the usual stuff former presidents do: Opening senior citizen centers, giving speeches and having his own presidential libraries. He's also considered to be worst American president ever. It doesn't bother him, though. When he finally decided to google himself he realizes the true opinion people have of him. For the first time he recognizes the lives that were lost in the war that he started. And so he decides to change and do everything with the power he still has left to make this country better again. I only came across this show by pure accident. It was listed besides another show I wanted to watch, so I checked out the Wikipedia page. As you can see for yourselves, it doesn't say much at the moment. So I decided to check it out for myself. And I pretty much liked it from the start. Grumpy old men are right up my alley, but Nick Nolte truly sold it for me when he read up on his Google search and realized what he'd done and also when he visited the fallen heroes memorial. I have still no clue what this show is going to be about but I'll watch it. 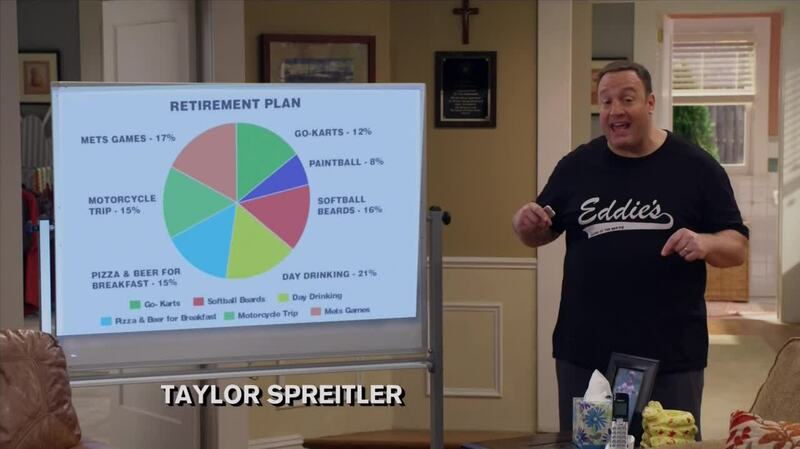 I like how the people around Graves react to him, I already like Skylar Astin from Ground Floor and it's already way more enjoyable than the actual U.S. presidential election race. It's all about family. Brothers, sisters, children, fathers. One happy pair is expecting triples, about to burst into this world. The other pair are siblings; she's heavily overweight and struggling with it, and he's Mister Hardbody and an actor playing a stupid role in a mindless sitcom. And the last one is a man looking for his biological father who left him at the entrance of a firehouse when he was born. What they do share, is their birthday. Their 36th birthday to be exact. The triplet-father, the twins and the fatherless man. And by the looks of it, the triplets will share their birthday. 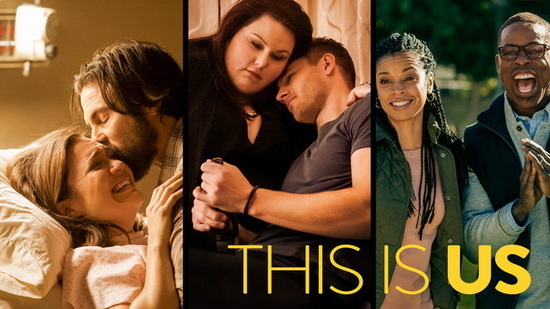 I did enjoy the acting, it is an interesting cast and it could be an interesting story, especially after you learn how all the people are connected to one another. I particularly found it hilarious how Justin Hartley's (Smallville) character was against taking off his shirt in every scene for the sake of being eye-candy. Why did I find that to be funny? Well, because that was basically his job for all his episodes on Smallville. I don't think there was a single episode on that show where he didn't take his shirt off. He was even shirtless in the opening credits. But in the end the show is going to be a family drama and that's not exactly my favourite TV food. As I said, the story could be interesting, but it's just not a genre that I personally prefer. If you want to know how the characters are intertwined: The parents expecting the triplets exist in the past. They are the parents of the twins (the third one didn't make it) and the baby from the firehouse has become the adopted third child. So this show is probably taking place at two timelines. One in the now and one 36 years ago (1980). 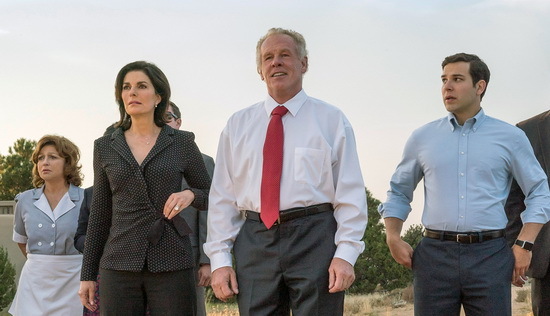 Thomas Kirkman (Kiefer Sutherland, 24) is the U.S. Secretary of Housing and Urban Development and about to be fired since the President has decided to go with someone else for his second term. 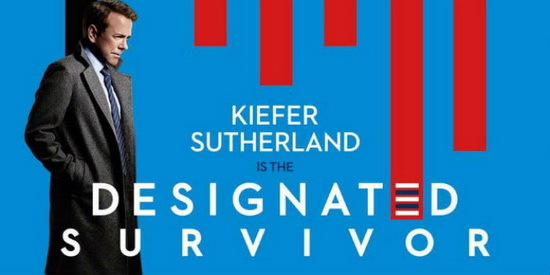 Kirkman is also the designated survivor for this year's State of the Union. He's kept safe in an undisclosed location while the President gives his speech. Then the unthinkable happens. An explosion destroys the Capitol building and with it the President, Vice President, the Speaker of the House and most cabinet, house and senate members. Fortunately, the unthinkable has been thought of. That's why Kirkman was not in the Capitol. And now he's sworn in as the next President of the United States. The most urgent questions on everyone's mind are "Who did this?" and "Is the pencil pusher Kirkman really able to lead this country in this time of crisis?". I've learned the term and the meaning behind the "designated survivor" in the first season of The West Wing. This is not going to be that show. I really liked the pilot. Everyone around Kirkman including himself doubts if he can do the job, but he appears to be a fighter. Someone who will tackle every challenge and obstacle that will come his way. I'm curious how they will design the following years. When will there be re-elections and who will go up against him. How will they tackle the domestic and foreign topics? This is one show I will definitely watch for the next few years. I watched the trailer for Designated Survivor two days ago (using the link in your first post). 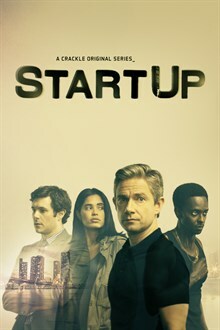 I find this show to have a good, interesting premise' partly due to just having finished season 4 of House Of Cards last week (very much looking forward to season 5...). It's only the Capitol building. The explosion looked like a mini nuke mushroom but no one's mentioned any radiation, so I assume it was only the special effect. Roger Murtaugh is a 50-year old cop recovering from a heart-attack operation and is slowly easing back into active duty. 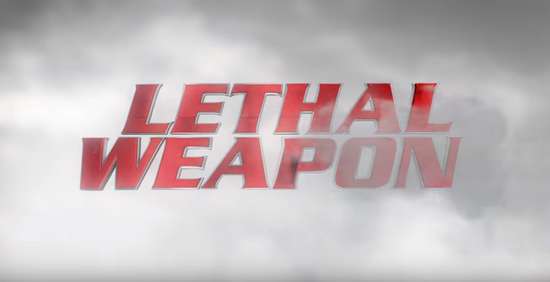 Martin Riggs is a guy with a death wish and Murtaugh's new partner. Together they'll crack jokes and bad guys alike. Nothing much to say premise-wise if you know the original movies. The basic story is the same, the setup is the same. I'd classify the show as an action comedy because it shows from the start that it's not going to take itself too seriously. You can see that when a car chase takes place on the track of an ongoing Formula 3 (or something similar) race and none of the race drivers are in any way bothered by that or the fact that a guy gets hit by a bus and in typical Hollywood manner (Rest in peace/pieces, Delorean!) the bus will not even stop after the crash. These guys are not going to solve their cases by staring at some CSI / NCIS high-tech gadget computer, they're going to do it the old-fashioned way. It's a show where you can relax you brain and just enjoy the ride. Without the government's knowledge, a high-tech mogul has built his very own time machine. But then terrorists steal it to change the past. And now the government is involved. They send back a three-person team to 1937 to prevent the terrorists from accomplishing their mission. They send a history professor, a soldier and a black computer engineer. I'm on the fence with this show. The premise does not have any internal consistency and they're partially self-aware of it by having the black man commenting on it being a bad idea to send someone like him back into any part of American history. The worst is the time-travel logic which basically does not exist. To explain this you need to have three points of view. Our real world POV A, then the one of the time travelers B1 (bad guys) and B2 (good guys) and the ones left behind C.
The pilot episode revolves around the Hindenberg airship which burned and crashed on May 6, 1937. This is the starting premise for A, B1, B2 and C.
Then the bad guys go into the past. As the end of the pilot episode shows there is no kind of ripple effect as used by Back to Future where changes in the past take a while to have effect on the present. Which means that the moment B1 left for the past, B2 and C (which at that moment are still identical) should already live in the alternate present A' which differs from our A. But they don't. They know Flynn (the bad guy, played by ER's Goran Višnjić) went into the past, but their B2/C present is still identical with A. They then went after him and change the past in a slightly different way. When B2 comes back to the present, history actually had changed and the present is now A" and the C group has no idea it ever was A. Which means when the bad guys go back, the present is not changed, but when the good guys do, it is?!? Sense this makes none. And that's not the only problem. They are also greeted back, so even in this alternate present they were sent back to the past. You can't think too much about it which means to enjoy the show you'll have to concentrate on the other aspects. And it's not getting any easier there either. The group's composition is not very well explained either. The historian's reason for being there is hinted at as a mystery. That I can accept. The soldier on the other hand is not the brightest bulb in the chandelier and there wasn't actually any explained reason why Rufus (the black man) had to come along. Nothing he did in the past couldn't have been done by anyone else. And the show was preachy. It seems as if the only reason Rufus had to come along was to shout at some random stranger that no one cares that O.J. is a murderer and black Michaels are good at sports. I'll watch a few more episodes but as a time-travel concept the 90's shows Quantum Leap and Seven Days did it better. His name is MacGyver, Angus MacGyver. He doesn't like guns. But that's OK, because his best friend Jack Dalton uses them plenty. Mac and Jack work covertly for the government and their boss is Patricia Thornton. The third team member is Nikki Carpenter, a computer hacker. But she gets killed on their latest mission and gets replaced with an ex-con by the name of Riley Davis. Together they retrieve items and people from places where the government officially can't go. It's MacGyver in name only. They try to do the same stuff like the voice-over by Mac and the technical gizmos, but it's just not the same. Just like the The A-Team movie was not The A-Team. I don't think it was bad. It was certainly enjoyable to watch. But in the end it is a generic action show. It doesn't offend, it doesn't bring shame to the name. But it's also nothing special, nothing that screams "Watch me!". Personally, I think Tristin Mays (Riley) is more beautiful than Tracy Spiridakos (Nikki). But I do find it weird that every single show needs at least one quota person of colour. Even when you only have three main actors. I don't mind it, I never did. I never did mind Mr. T. Mr. T was awesome! But with the constant barrage of equal representation demands like #OscarsSoWhite I just notice it and wonder if a channel would ever dare to air a new show with an all-white cast. I also watch The Carmichael Show which is an all-black show. No one demands equality there. But a different topic: When will movie makers be able to make a CGI explosion not look totally fake? The Dimeo family has once again moved to give their eldest son J.J. a chance at a new school. J.J. has cerebral palsy*, an illness that binds him to a wheelchair and makes him unable to speak (but not to express himself). J.J.'s mom Maya is the driving factor behind this move because her entire life now revolves around J.J., to give him the best care and education possible. But her other two kids are slowly getting fed up with getting uprooted all the time for some perceived (though sometimes not even actual) improvement of J.J.'s life. J.J.'s new school is very tolerant and open-minded but no one can meet Maya's standards and expectations which becomes obvious when the new school can only offer the garbage ramp for J.J. instead of a proper wheelchair access at the front door. J.J.'s dad is a laid-back guy who doesn't really care what other think about him and he manages to counter-balance his wife and not lose focus on the fact that there are two more children to be raised. I've already seen a few more episodes and this show manages to have an interesting balancing act. On the one hand they actually show the problems people with disabilities have to face and oftentimes the mom comes out as a textbook Social Justice Warrior who fights the fight just for the sake of fighting the fight. But they do it so over the top (for example, the entire school wants to make J.J. class president just because he's disabled and not based on any merits) and interlaced with good humour that they manage to get their point across without appearing preachy. It absolutely helps that J.J. himself is a very balanced kid who overcomes his disabilities with the tools he has at hand. While Minnie Driver's (Maya) character reminds me of her role in About a Boy (the series), John Ross Bowie's dad on the other hand is nothing like The Big Bang Theory's Sheldon's foil Barry Kripke. *Both the actor as well the character have cerebral palsy, an illness that also afflicts Breaking Bad's actor RJ Mitte.